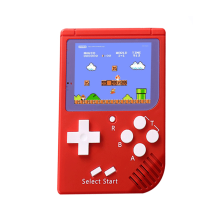 ku hai Video game HD interface red and white Classic nostalgia game FC classic retro game console model: RS-37. ku hai Video game Classic nostalgia game HD interface red and white SFC classic retro game model:RS-41. kuhai XBOX arcade video game console HDMI hd GBA game for the double nostalgic console game.